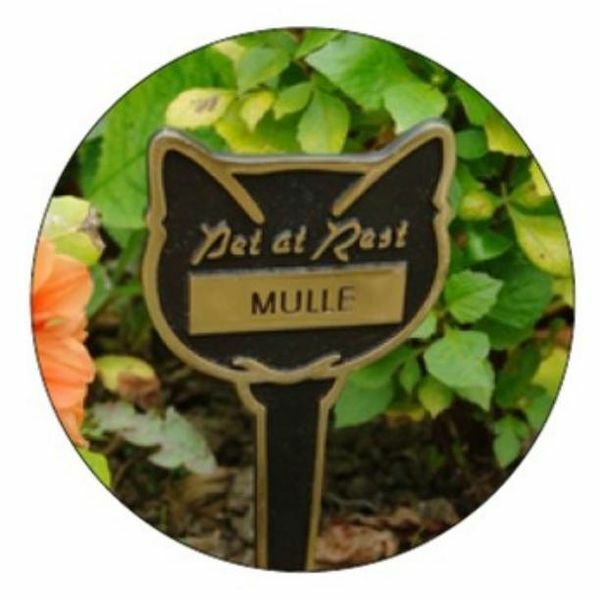 This cat memorial plaque is made of high quality cast brass. The cat memorial stake is engraved with your cats name for free, and is approximately 10" high. The postage rate for all pet memorial stakes and plaques is Band A. Unfortunately this product has been discontinued by our supplier, please contact us for availability or an alternative.